Cubetto by Fabbian consists of a cube-shaped diffuser made of glass and 24% lead crystal and a basis made of chromed metal. 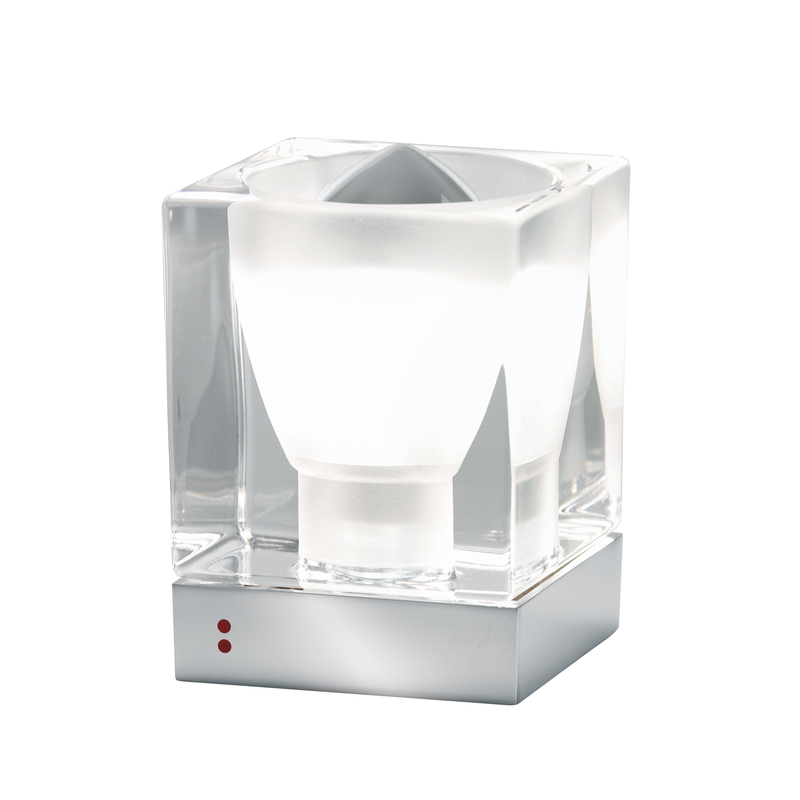 The table luminaire provides a beautiful atmospheric light. Fabbian offers the Cubetto table lamp also in black and white. Furthermore this lightening series comprises several pendant, standing, wall and ceiling luminaires.